Does everything a console Spider-Man can. 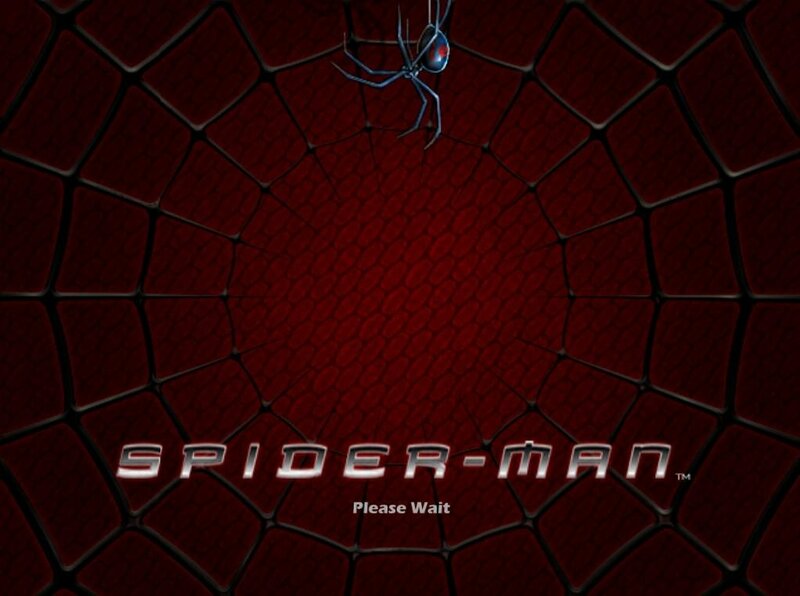 The story of the computer game Spider-Man loosely follows the plot of the film. As the “Friendly Neighborhood Spider-Man,” Peter Parker faces the usual assortment of bad guys, from masked thugs and gangsters, to foot soldiers and robots. 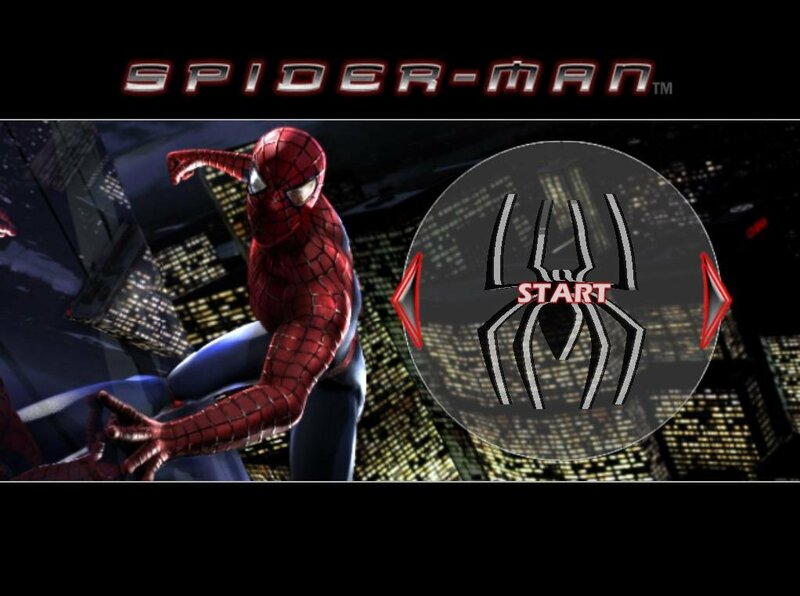 It’s up to Spider-Man to make the city of New York safe from the Green Goblin and the rest these menaces, both on the ground and in the air. 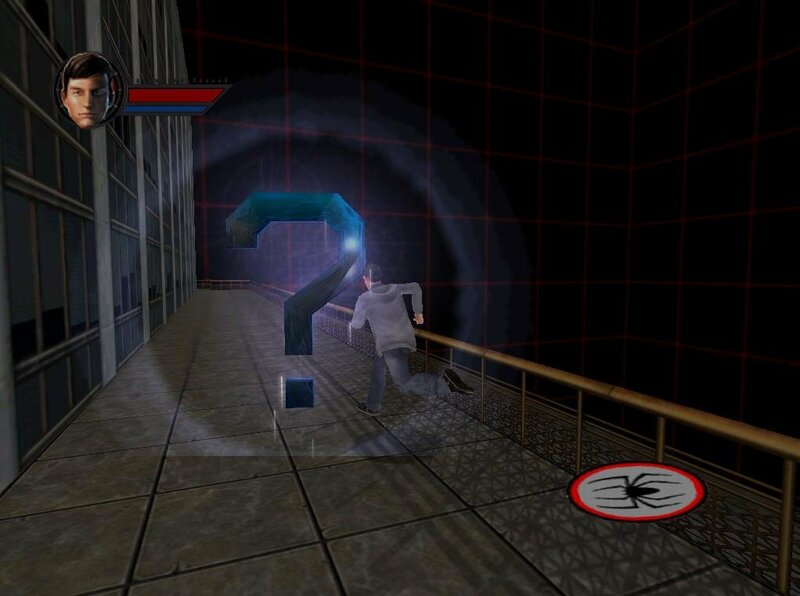 Along the way, familiar voiceovers from Tobey McGuire, Willem Dafoe, and Bruce Campbell add a sense of cinematic authenticity to the experience. At it’s heart, Spider-Man is a console port and has many of the same hiccups we’ve come to expect – odd controls, washed-out textures, simplified gameplay, but also a good deal of fun once you ditch the keyboard and hook up a gamepad. 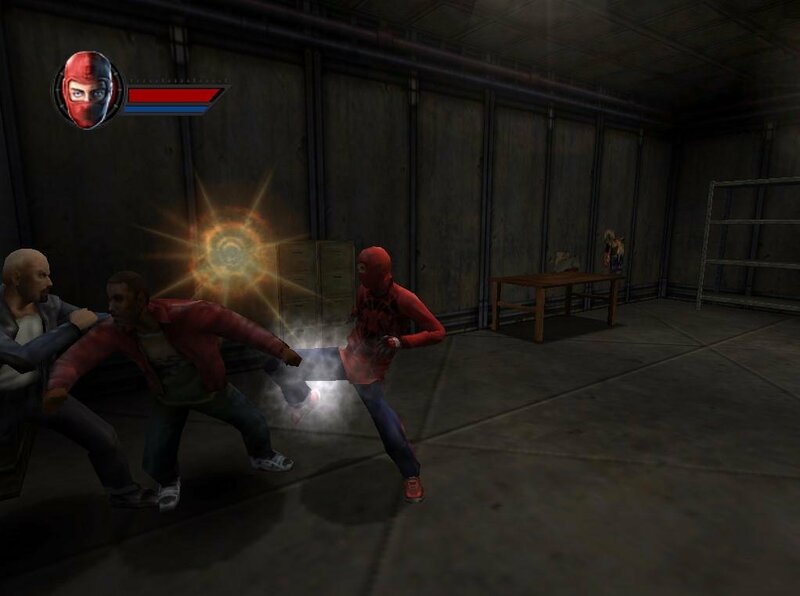 Most of the game takes place in the fighting third-person, with Spidey beating up enemies with punches, kicks, leaps, and his web moves. 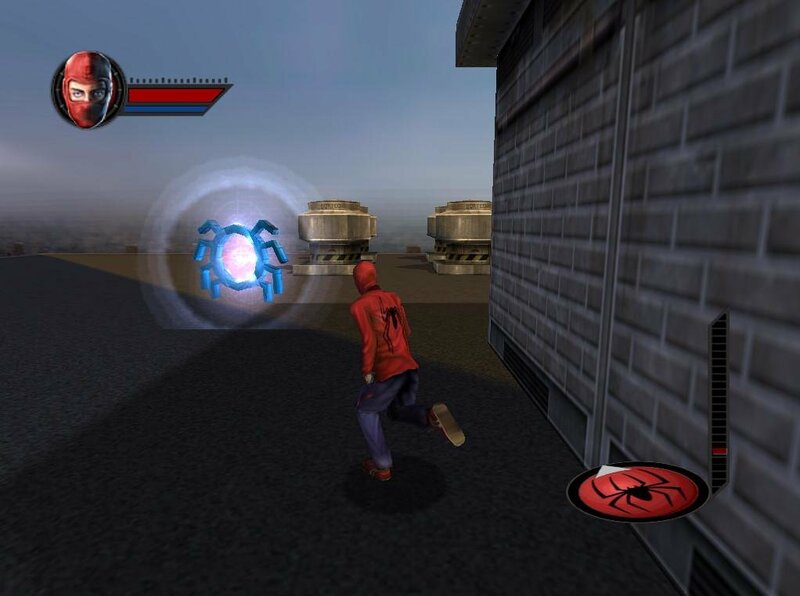 Throughout the different levels, players can pick up over 20 special power-ups that add fighting-combos to Spider-Man’s arsenal, impressively performed through a combination of the different action keys or gamepad buttons. The power-ups are not required to complete the game, but because many of them are hidden, part of this title’s replayability comes in finding them all. 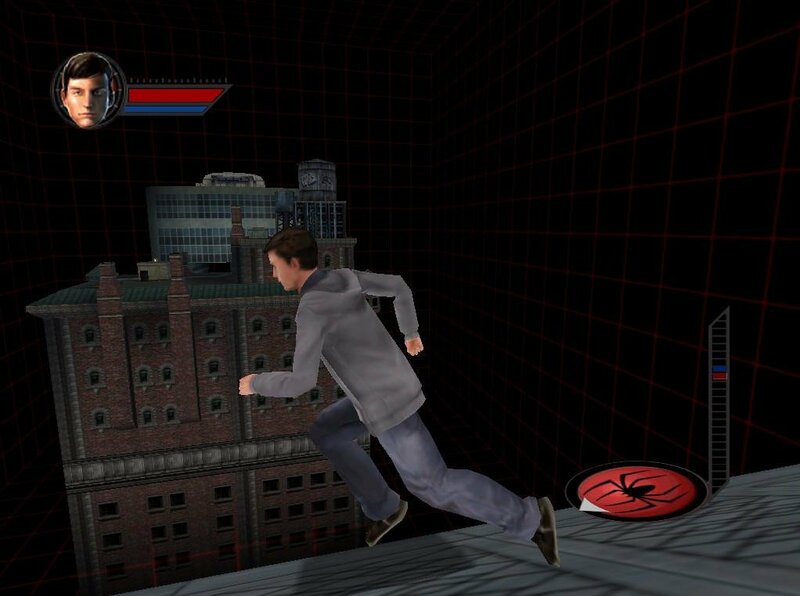 When out in the city, you can swing from building to building using webs, and can fall hundred of feet without getting hurt. 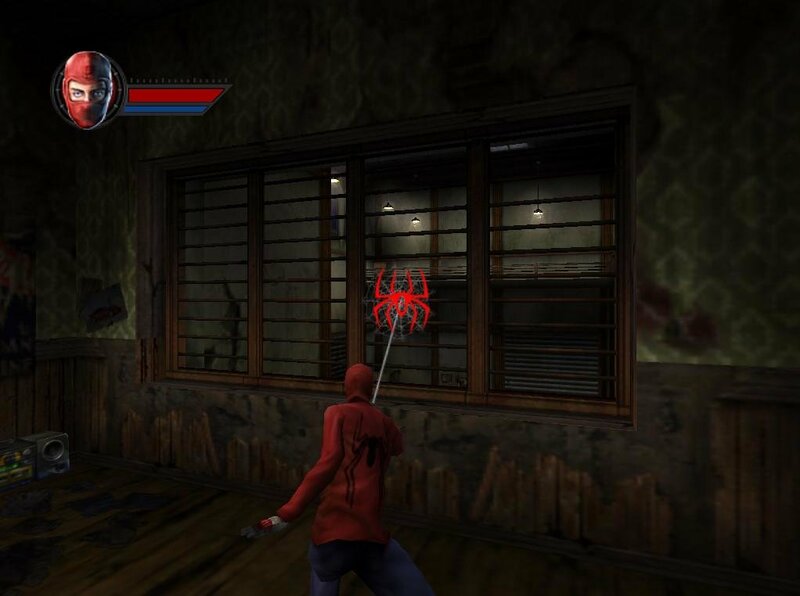 On the other hand, the web swinging is pretty unrealistic. It’s like you have a pillow of invisible hooks right above you, allowing your alter-ego to ‘fly’ pretty much anywhere. 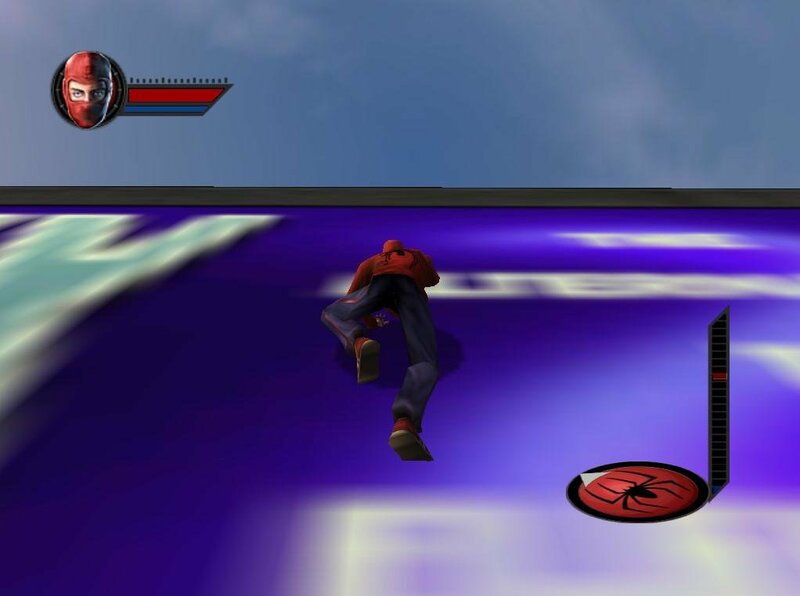 Spider-Man’s crawling abilities allow him to reach impossible areas when inside indoor areas, and the in-game camera compensates for this by making ceilings transparent or by turning the view accordingly. 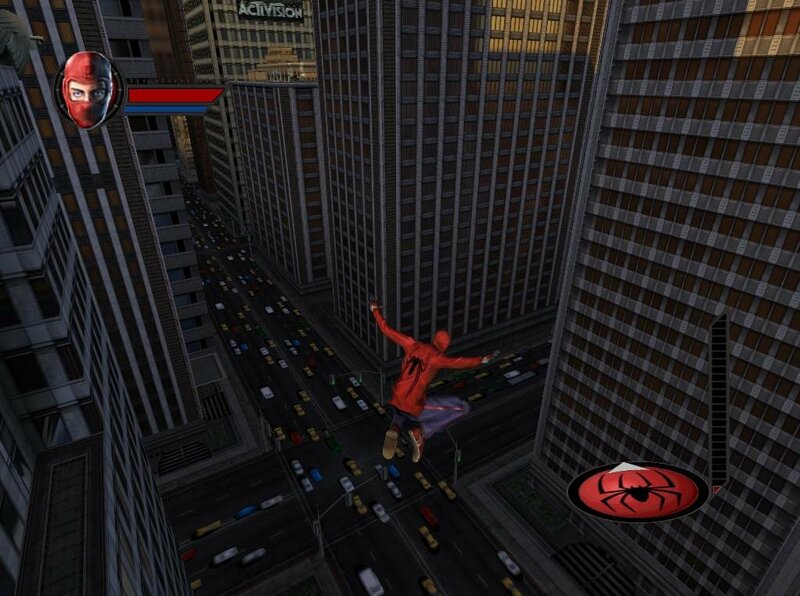 Players can also use Spider-Man’s zip-line ability to quickly shoot web-grappling hooks across rooms or surfaces, zipping in any direction at great speed. For certain hard-to-reach areas that need to be zip-lined, players can switch to a first-person targeting view, aiming with either the keyboard or mouse. 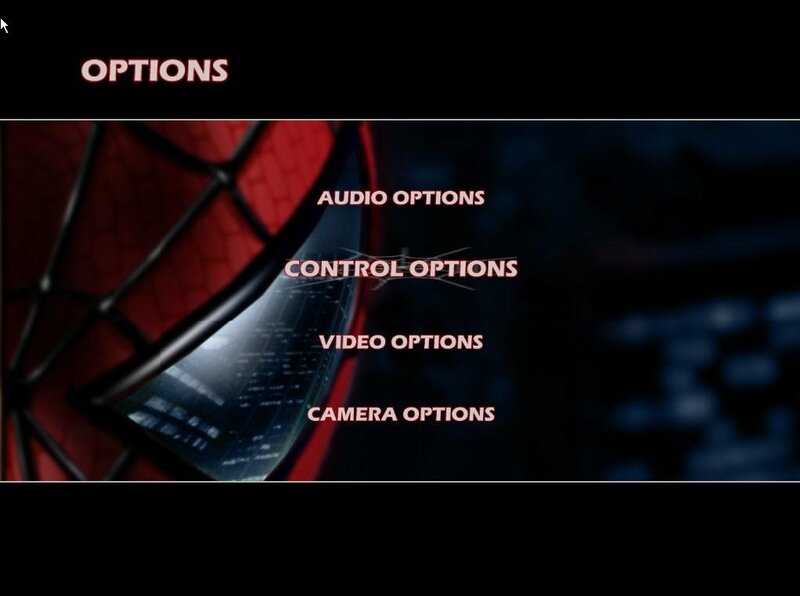 As players control Spidey throughout his adventure, they are aided by a series of helpful heads-up indicators. 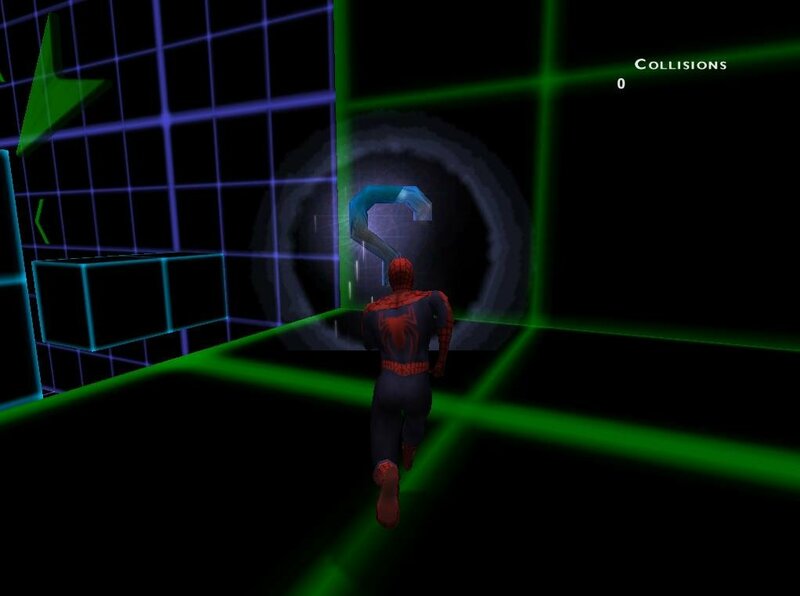 In addition to an ever-present health and web-fluid bar that can be replenished with power-ups, there is also a compass directing Spidey towards critical areas and a relative height meter letting players know the enemy’s vertical proximity. 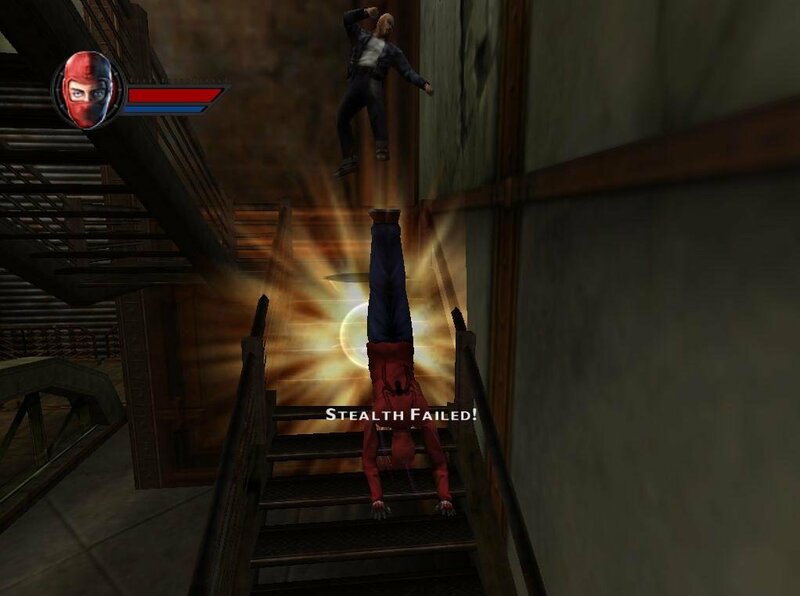 For certain levels that require stealth, another icon shows Spider-Man’s face either in the light or in shadows depending on his position. 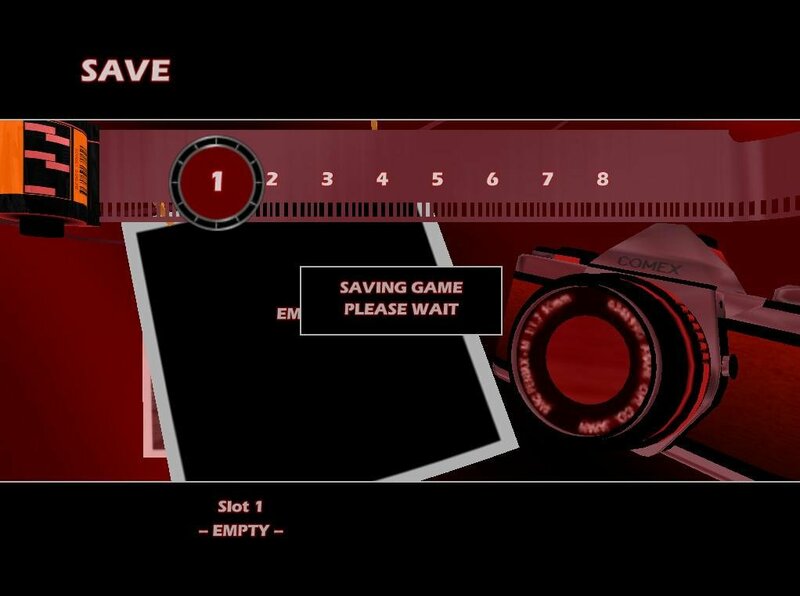 Other displays include the enemy’s distance and health bar, the number of enemies remaining, and a countdown timer for timed events on levels. 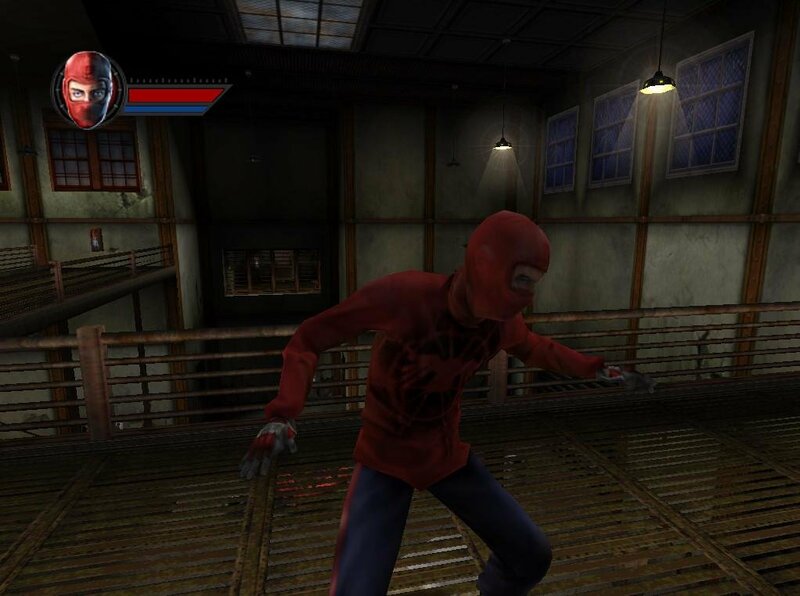 There is also Spider-Man’s fabled “Spider-Sense,” a visual indicator above Spidey’s head that helps players avoid dangerous traps and attacks. The levels themselves fall under several categories, some of which include switch and item puzzles. 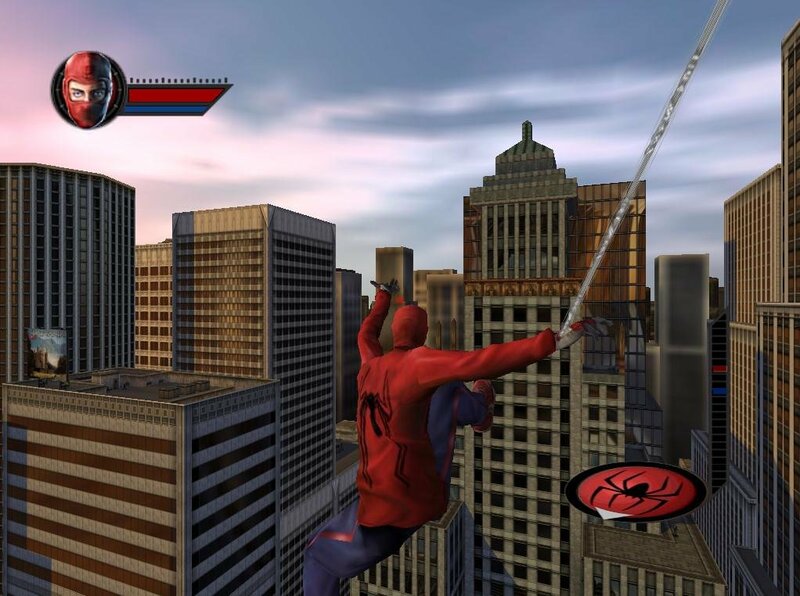 The first few missions introduce the controls, requiring players to fight bad guys, swing to different locations, and crawl around stealthily. 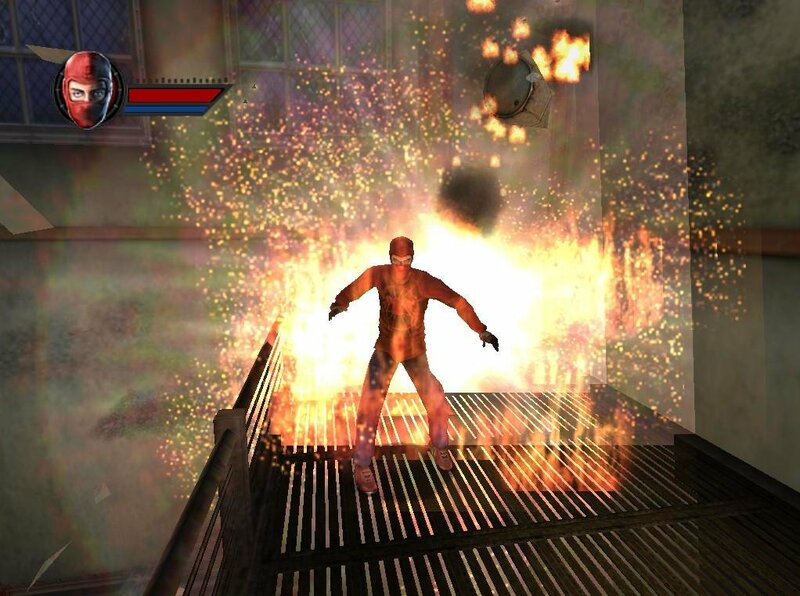 You’ll later be fighting in aerial combat, and facing tougher and tougher boss characters. To make things interesting, some levels twist different action elements together. 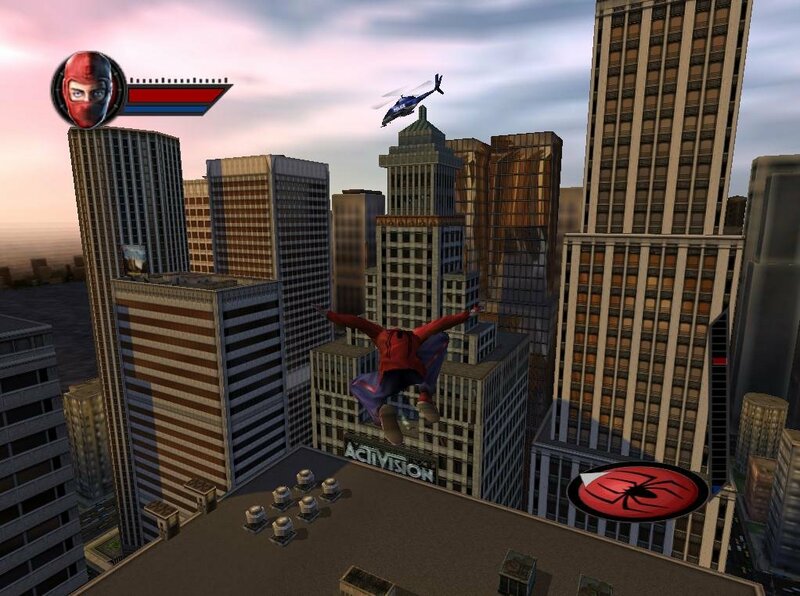 During one mission, players have to swing to rescue Mary Jane, chase after the Green Goblin, and then protect innocent civilians below by webbing-up pieces of buildings the Goblin destroys. Apart from the main linear campaign, there are additional gameplay features built-in to the title. There are a series of comprehensive training levels that help players hone practically all the moves used in the game. Most of the training missions are timed or scored, beckoning players to try to beat their best level performance. As players score points by completing levels in the main campaign, they can unlock special bonus features, such as new character skins, bonus movies, and secret levels. In short, even for a fairly straightforward action title, there’s quite a bit of replay value to be had. 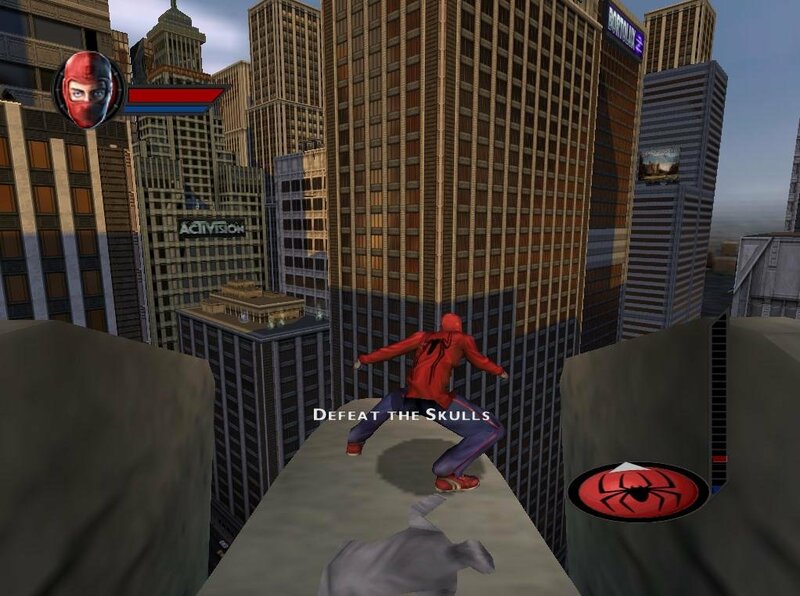 And while the console-tier controls take some getting used to, Spider-Man still works quite efficiently as am arcade fighting / action-adventure game.